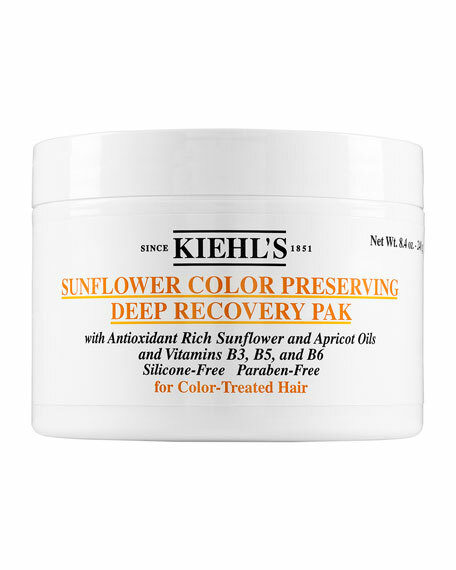 Kiehl's Since 1851 Sunflower Color Preserving Deep Recovery Hair Pak, 8.4 oz. Kiehl's Since 1851Sunflower Color Preserving Deep Recovery Hair Pak, 8.4 oz. Formulated without parabens, our silicone-free mask for color-treated hair helps repair chemically-processed hair, while providing an extra boost of healthy shine and radiance. Helps repair hair by restoring moisture for manageable hair without tangles. Consistent use helps extend color vibrancy and prevent future damage from environmental stresses and other external abuses.